Display your True Colors! 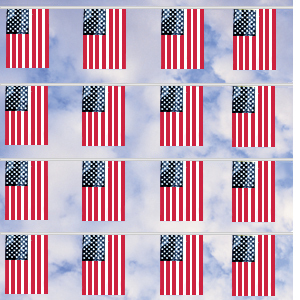 Made of cloth, there are 24 flags per 60ft. of nylon rope. Each flag is 12" x 18" and are double sewn on the nylon rope for extra strength. No local ordinance can restrict the use of American flags.